Exciting, will grab and hold student's attention. Puts students in the shoes of the Native Americans, explorers, pioneer women, lumberjacks and early auto workers. The history presented in the text book continues right to the present so students can see how our state has evolved with the strengths and problems we have today! 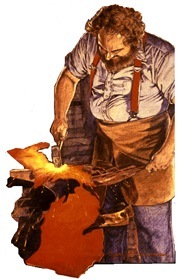 Forging and Michigan are two words which go together! Our state has been forged by the action of nature and by the toil of men and women. 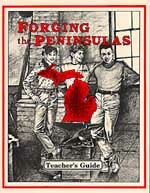 Forging aptly describes Michigan which has become one of the foremost industrial states in the U.S. Forging ahead with technology has carried us into the 21st century! Click here to see table of contents. Chapters subdivided into short sections. Key concepts listed at the beginning of each section. The 192-page teacher's guide gets you started quickly & easily. Chapter tests and a final exam are available, all reproducible. Hardcover with 424 pages, color maps, student questions, bibliography & glossary. Teacher's Guide. This extensive guide contains supplemental material from each of the 48 sections in the textbook. It includes: 28 reproducible activity pages, an introduction and rationale for each section, vocabulary words and their meanings, ideas for classroom activities and projects, additional questions for group discussion, "what else was happening then" time line information, plus answers to all questions 8 1/2 x 11. 192 pages. Ready to Use Tests on CD. Developed by veteran teacher Jim Cameron while using the textbook in his classes. This CD contains a chapter test for each of the book's 14 chapters. Jim's tests use a variety of question formats including short answer, sequencing, multiple choice, correlating events, fill in the blank, true & false, relating vocabulary terms, picture analysis, and essay. 90 pages of tests plus answers. 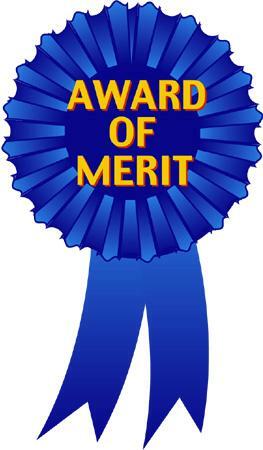 Complete final exam and answers plus a selection of possible essay question ideas. For Windows™ or Macintosh™. One Teacher says, "The most interesting Michigan history text I've ever seen!" Another responds, "Members of my adult education class want to buy their own books to take home!" Copyright � 2017 Hillsdale Educational Publishers, Inc. All rights reserved.